The Reviews Are In: Junk Works Is A Hit! Junk Works likes to move fast. Not only does that apply to scheduling but the actual junk clearing itself. The crews are trained to keep an eye out for those items that can be donated to charities. A lot of charities accept furniture that isn’t great condition. That’s fine with them because they’ll fix it up before they give it to someone in need. You don’t have to make that judgment call. Just leave that to the Junk Works crew. Most customers are amazed at two things when they hire junk Works. The first, is how fast the crew can clear out all the clutter. Second, is how one session can totally transform their home. Are you ready to add your rave review? You will after one junk removal session with Junk Works. 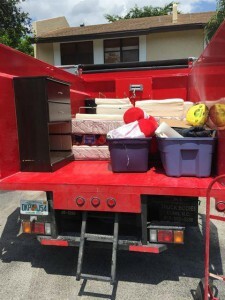 This entry was posted in Junk Removal and tagged junk removal, junk works, rubbish on September 30, 2017 by Junk King. Last updated October 1, 2017 .